Andrew's parents decided to come and visit us while we were in Europe. 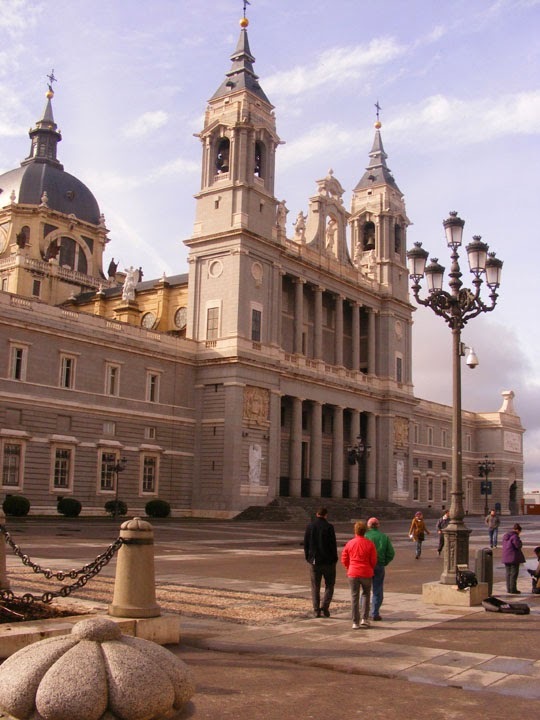 The plan was originally to go to southern Italy, but when mention of Spain was thrown around, the plans quickly changed. And it was off to Spain. 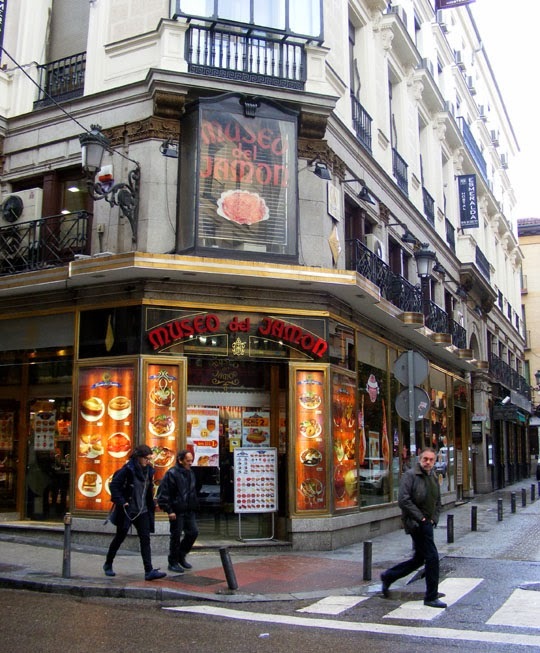 We met up with them in Madrid and saw the sights there for a few days before heading off on a whirlwind trip around almost all of western Spain. 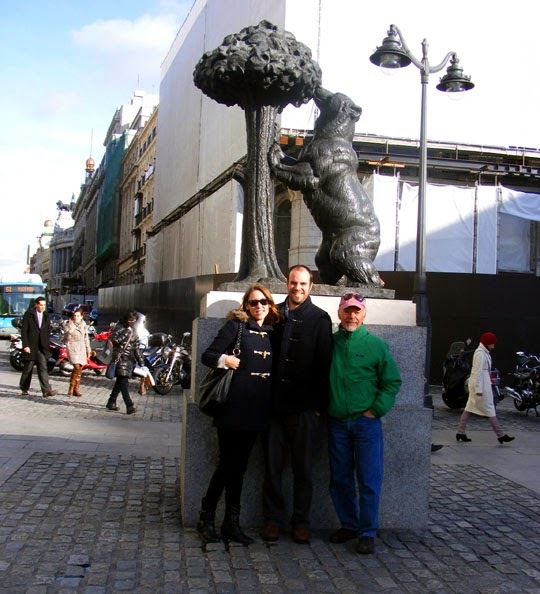 Us in front of Madrid's mascot, a bear eating from a strawberry tree - who knew there were strawberry trees. You know it's a great country when they have a museum dedicated to ham - where of course you can eat. The family taking in the sights of Madrid. When we decided on Spain, the first thought was, can we make it to a La Liga match (Spain's world famous soccer league). We were in luck: Barcelona was playing one of the Madrid teams, Getafe. Barcelona just happened to be Andrew's parents' favorite Spanish team, as well as the team that Lionel Messi plays for. 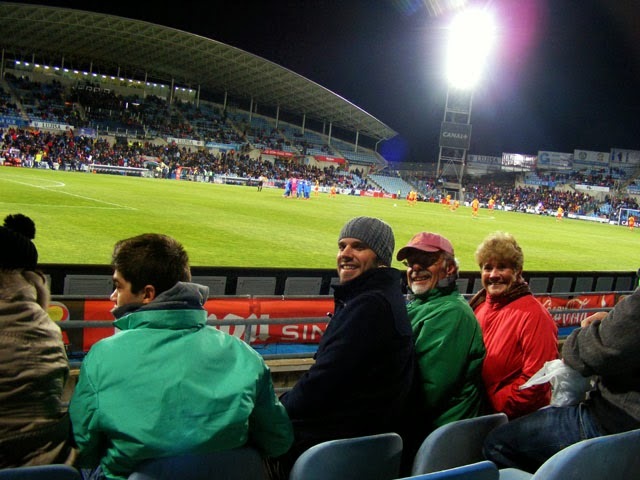 Tickets were purchased and arrangements were made to take the hour long subway ride down to the suburb of Getafe to watch the match. And we were not disappointed. 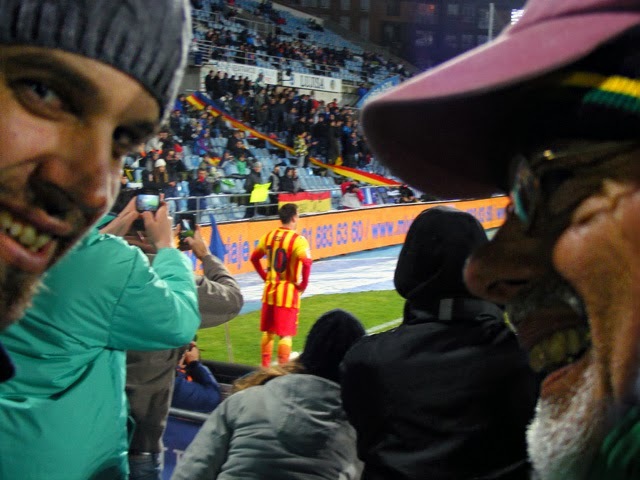 Not only did Barcelona win, but Messi scored two goals--and posed for a picture with Andrew and his dad, as you can see. It was a cold, but good, night of soccer entertainment. Messi posing for a picture with Andrew and his dad.